Marcus’ new schoolmates and Principal are the least of his problems in Deadly Class. If you thought your high school years sucked, hey, at least you weren’t at a school full of people explicitly trained to kill you. 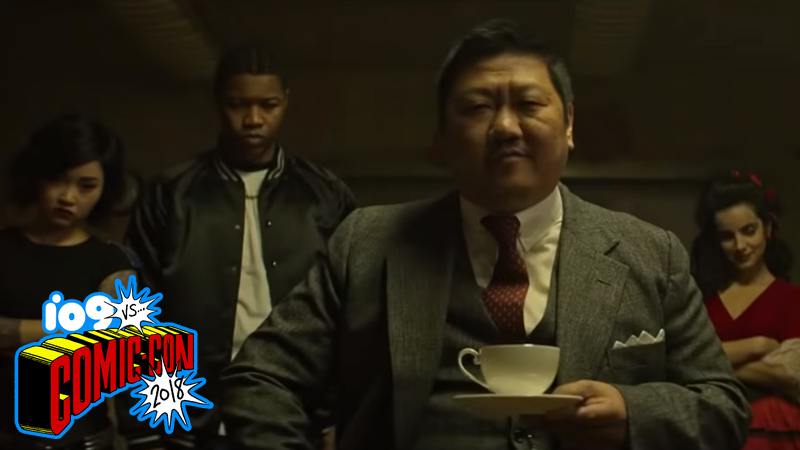 We’ve had sneaky glimpses of the Russo Brother’s next comic book project—an adaptation of Rick Remender, Wes Craig, and Lee Loughridge’s critically acclaimed Image comic series Deadly Class—for a while now, but Comic-Con gave us our first full trailer for the series, which sees young, on-the-ropes orphan Marcus offered a chance to get some purpose in his life by attending a mysterious new school... except the school’s main education goal is training its students how to become elite assassins. That training, of course, requires strict discipline from a very messed up faculty of teachers, but it also requires another thing from poor Marcus: the ability to survive, since his fellow classmates are more than willing to take his life if it means surviving their own tenure at King’s Dominion. So far, it looks like the show is shaping up to be a brutal-looking series that lives up to the comic. Deadly Class is set to hit Syfy in 2019.